I'm not sure why it took me four years to notice this, but we have an acorn tree in our back ally. 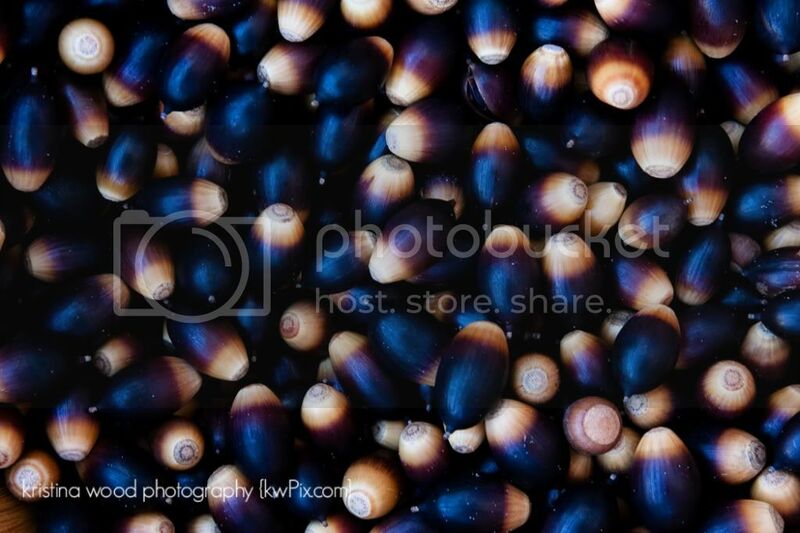 It produces lots and lots of acorns every fall. 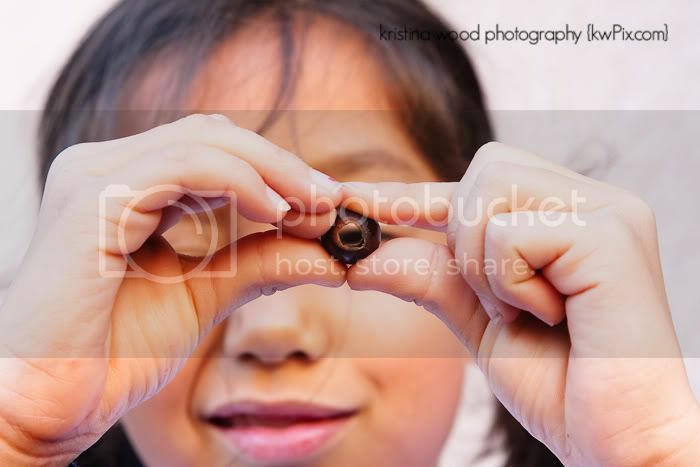 This year, the girls and their friends decided to start collecting them in order to make necklaces. I'll be really impressed if they actually complete one! The process is quite lengthy. 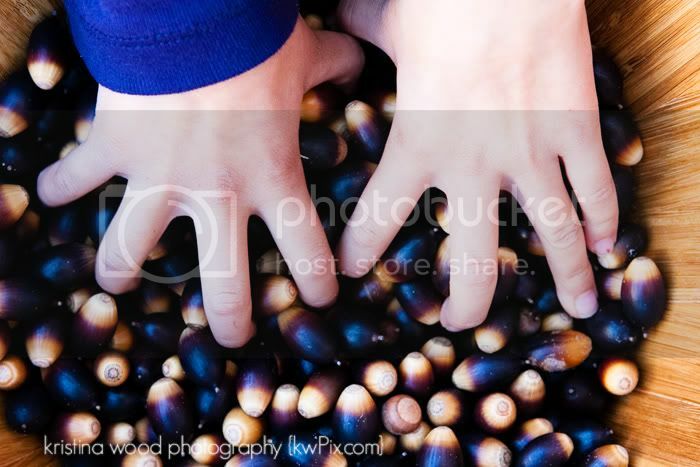 First you have to remove the ends of the acorn by rubbing for a looonnng time. 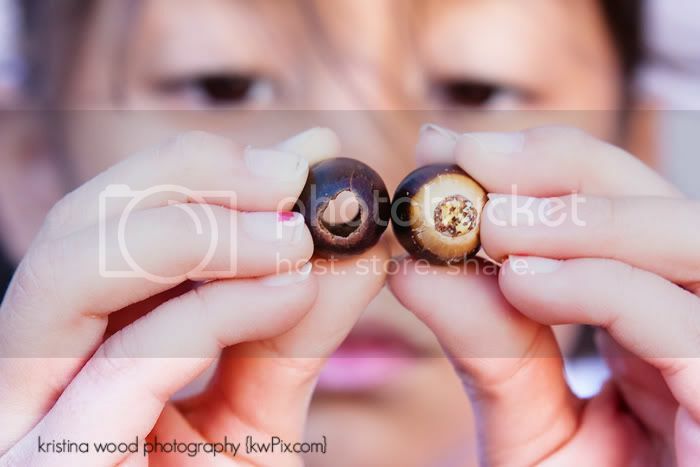 Next, you use a toothpick to poke out the fleshy part of the nut. It's sort of yellowish and grainy in texture. 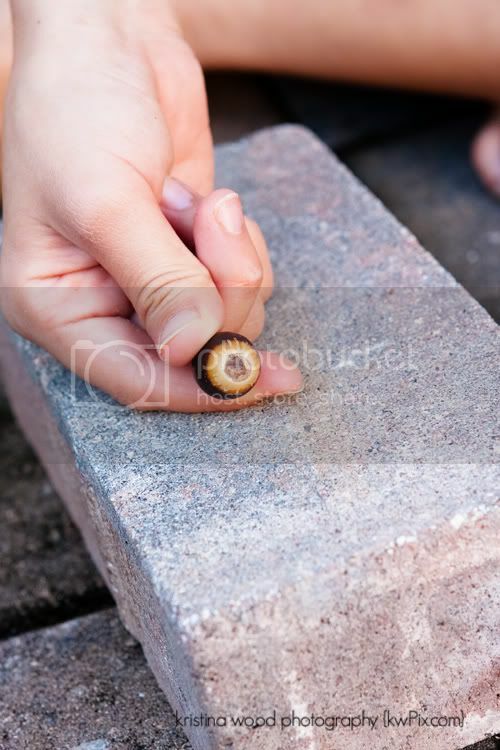 Then, you finally end up with a hollow acorn shell. Just repeat the process about 10 times...and maybe the girls will have a necklace or bracelet. 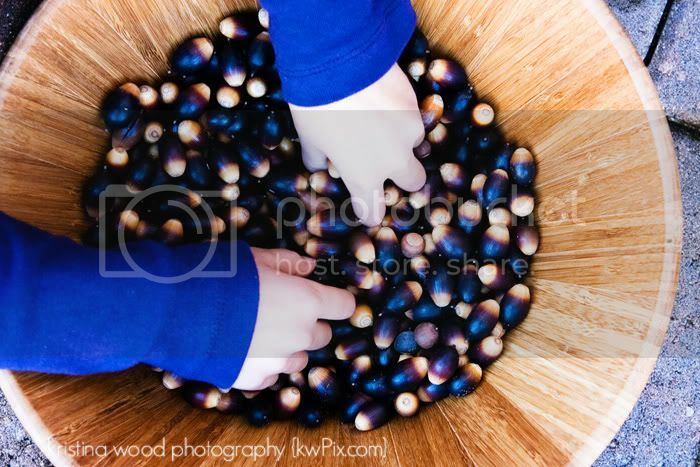 I wonder what else we could do with these acorns?